Make the most of the last days of summer and get ready to stay energized as you get back to the daily grind of fall in the upcoming weeks by taking care of your health. These easy tips can help you stay motivated and energized, in or outside of your apartment, no matter the weather conditions here in Hopkinton, MA. Below you’ll find a list of tips which you can implement all day long to keep up your energy. Start your morning with a glass of water. Make it easy on yourself and leave the water glass or bottle right next to your bed. This will help you feel refreshed and awake first thing in the morning. Bonus points if you refill your bottle and keep drinking all day! 2. Add color to your diet. Dark leafy greens and bright-colored fruits and veggies pack a ton of nutrients. A few baby carrots as a snack or some beets on top of your salad will add vitamins your body needs. Eating fresh foods during the season will help you avoid feeling sluggish and bloated. Tip: Even though soups and stews are great cozy meals, they can add a lot of sodium! Control your salt intake by preparing your own broths and soups. Write about how you’re feeling during the day while you make these changes. You’ll figure out just what puts you in the best moods and what things to avoid. Write down what you eat, what you do, where you go, and who you see! Sometimes we don’t even realize what could be draining our energy, but journaling is a great way to look at our day, right in front of us. We aren’t necessarily suggesting a total fitness overhaul, but adding some exercise to your daily routine can really help boost your mood. Even if it’s only a 10-minute run in the morning, a walk with your dog, or a brisk walk in the park during your lunch hour, try to get outside. Fresh air can do wonders for you when you feel tired and a bit sluggish. If you really cannot leave your office, work, or school tasks for a midday stretch, crack that window open, let a cool breeze in, and take a few deep breaths. We hope these tips help you feel better this season and always.  Thanks for reading the blog for Woodview at Legacy Farms!